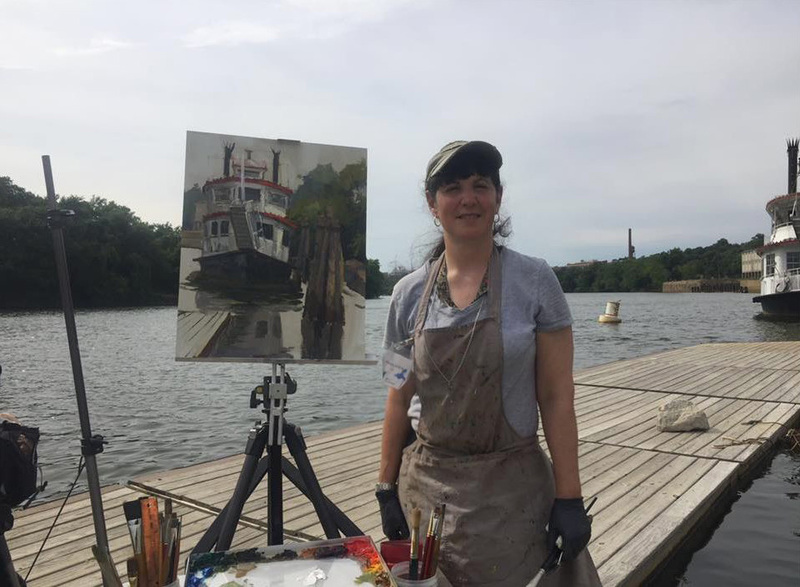 Tabitha Frizzell Treloar of the Richmond, VA SPCA interviews Anna Lancaster while the artist paints the Stern-wheeler at Rockets Landing during the Richmond Plein Air Competition. 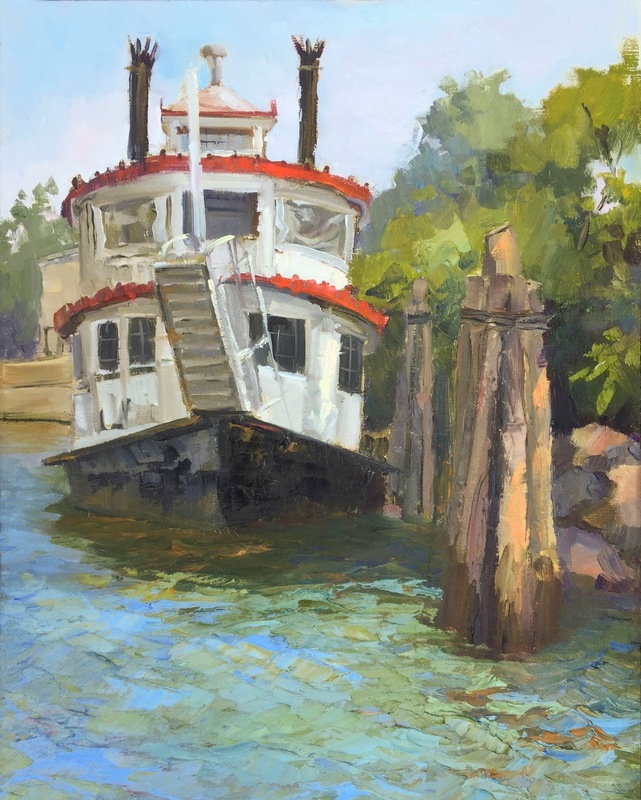 It was such an awesome part of the adventure of painting in my 1st out of state juried plein air competition. I was awed by the magnificent scenery of Richmond, the kind and welcoming locals and the professional talent I was blessed to be in an exhibition with.